U.S. Rep. Elizabeth Esty announced Monday she will not run for re-election amid criticism after she admitted to keeping her former chief of staff on after he was accused of threatening another female staff member. U.S. Rep. Elizabeth Esty announced Monday she will not run for re-election amid criticism and pressure to resign after she admitted to keeping her former chief of staff on after he was accused of threatening another female staff member. On Thursday, Esty issued an apology for failing to protect the female employees who said Esty’s former chief of staff, Tony Baker, harassed them, including one woman who said she was punched in the back and received death threats. Reports say Esty, a Democrat who represents Connecticut's 5th District, was informed that in 2016, Baker called Anna Kain, another office staff member with whom he had previously been in a relationship, more than 50 times before leaving a voicemail in which he threatened to kill her. It took three months for the congresswoman from Cheshire to act, eventually signing a non-disclosure agreement, providing $5,000 in severance to Baker and assisting him in finding a job with the nonprofit organization Sandy Hook Promise. Baker was Esty's chief of staff from 2014 to 2016. His spokesman denied many of the allegations. 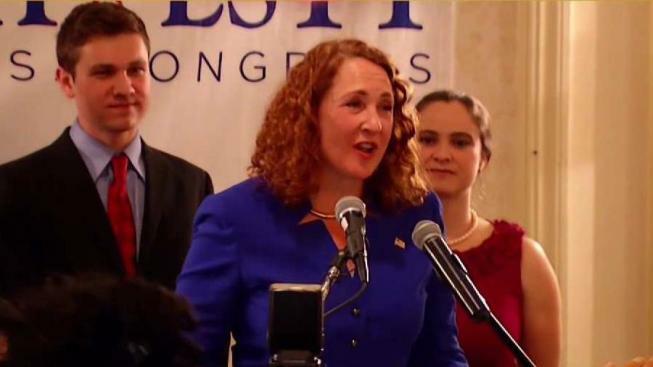 Some lawmakers, including members of Esty’s own party, have called for her to resign. "From being a room parent in a first grade classroom to serving on the library board, town council, state house and U.S. Congress, I went into public service to fight for equality, justice, and fairness. It is one of the greatest honors of my life that the people of Connecticut’s Fifth District elected me to represent them in Congress. However, I have determined that it is in the best interest of my constituents and my family to end my time in Congress at the end of this year and not seek re-election. "Too many women have been harmed by harassment in the workplace. In the terrible situation in my office, I could have and should have done better. To the survivor, I want to express my strongest apology for letting you down. In Congress, and workplaces across the country, we need stronger workplace protections and to provide employees with a platform to raise concerns, address problems, and work to reduce and eliminate such occurrences, in the first place. In my final months in Congress, I will use my power to fight for action and meaningful change. "I’m proud of the work I’ve done in Congress fighting for what’s best for Connecticut: working for gun violence prevention and safer communities for our children, supporting our veterans, and fighting for women’s equality and access to health care. On these critical issues and many more, there is still so much at stake for my district and for our nation. I intend to spend the coming months doing what I’ve always done: working hard each and every day for the people of Connecticut." Esty asked that the Ethics Committee “conduct an inquiry into whether I have violated any law, rule, regulation or other standard of conduct applicable to a Member of the House.” A statement from her office also said Esty urged the full House to explore whether the rules and procedures for dealing with such matters need to be further revised and strengthened.